Having problems sending email when using Outlook? Are others having problems emailing you from Outlook? 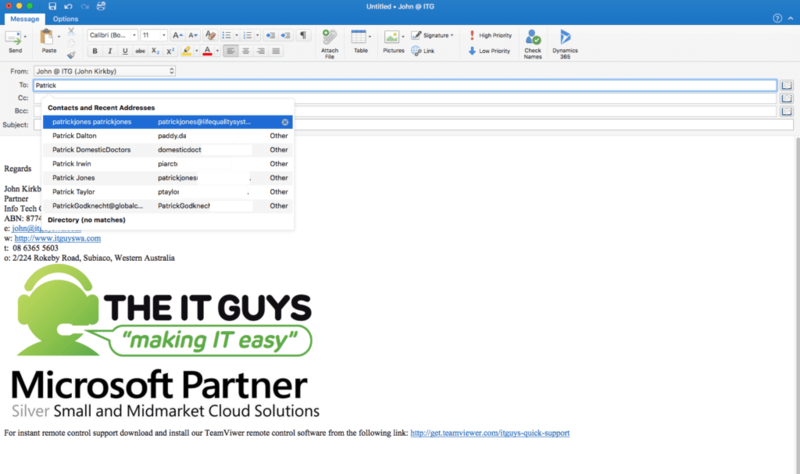 If you or a colleague has recently updated their email server, moved to a new email provider, changed to Microsoft Hosted Exchange or a new email host, then Microsoft Outlook may experience problems in either sending emails or receiving emails from other people. This is because Outlook has a feature called “Auto-complete“. As you start typing a name, if that name has been used before it maybe automatically be suggested in a list (see above example). The AutoSuggest/Auto-Complete feature of Outlook keeps a cache of addresses you’ve recently used. As well as the email address, the cache also keeps details of the last server sent to. If the server has changed, Outlook may not be able to send the email and may return an error. In some cases Outlook may simply send the email, no error is returned, the email does not bounce but the recipient does not receive that email as it has been sent to the old email server. 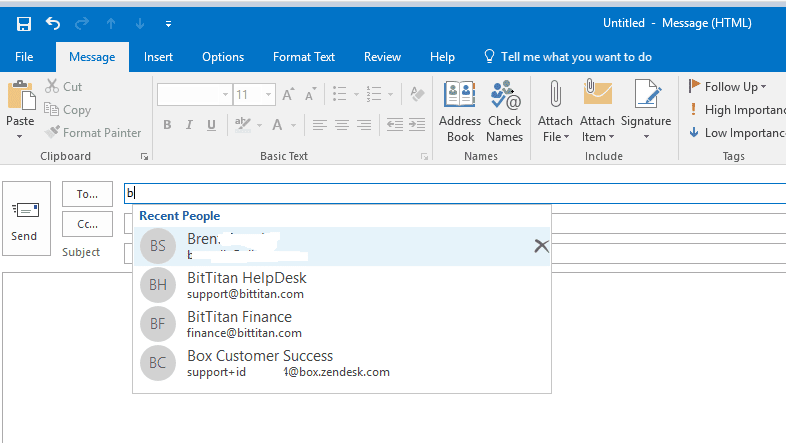 In Outlook 2010 and Outlook 2013/16/19, you can click on the X icon on the right side of the selected list item to delete it from the suggestion list (but not from the Suggested Contacts folder). Then shut Outlook, reopen it, create a new email and type in the email address. Outlook should no longer find the old address details in the Autocomplete cache. Some entries that have errors can be removed by clicking on the “X” next to the name. For others, select the person. 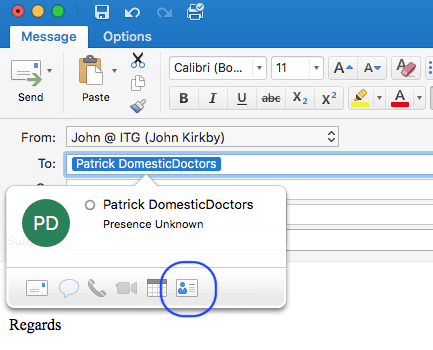 Once the Contact window appears, click on the “Delete” symbol to remove the entry. Click the “OK” button to confirm. Close the window, create a new mail and type the email address as a new entry. Thanks for sharing the great information. My office, recently updated their email server, so I am also facing the same issue. 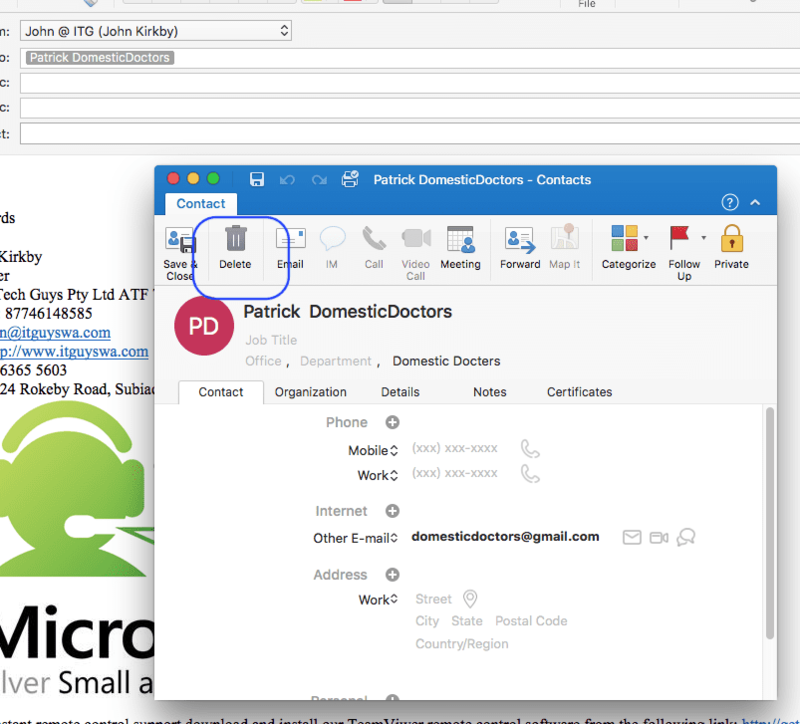 The issue which has been given here in the outlook has been faced by most of the users as it happens while making the synchronization of the emails to the outlook storage. There is also an error called connect error 10060 that also happens on the outlook as well.